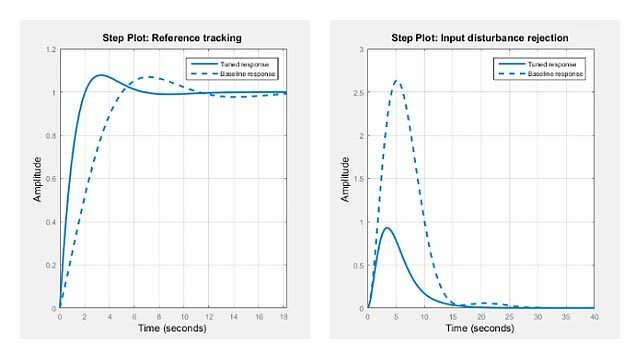 This example shows how to analyze the time and frequency responses of common RLC circuits as a function of their physical parameters using Control System Toolbox™ functions. 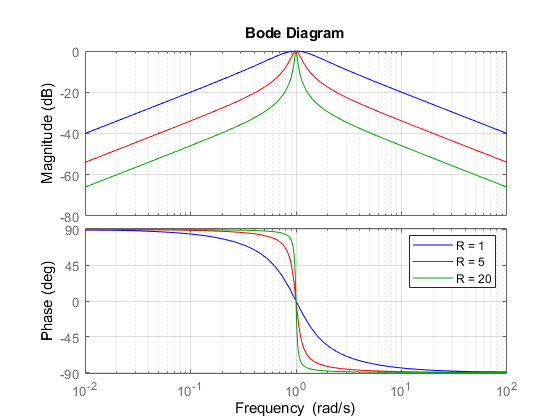 Figure 1: Bandpass RLC Network. The product LC controls the bandpass frequency while RC controls how narrow the passing band is. 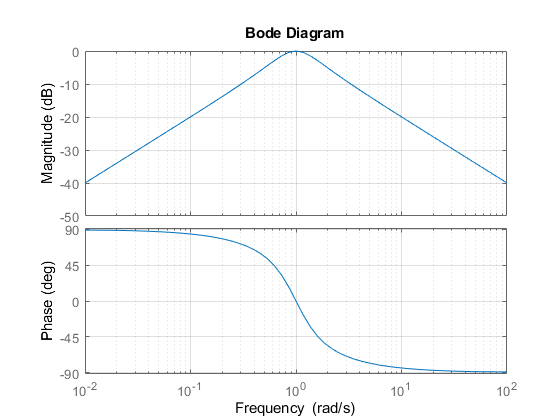 To build a bandpass filter tuned to the frequency 1 rad/s, set L=C=1 and use R to tune the filter band. 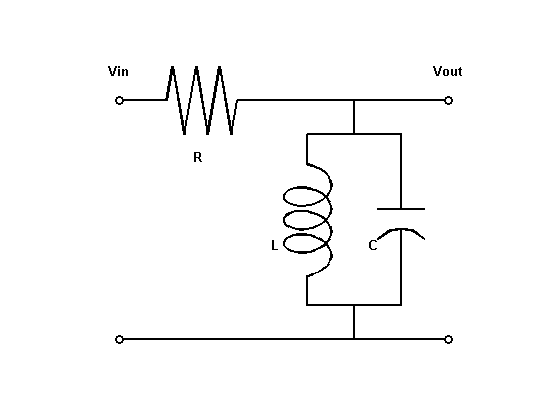 The resistor value R=20 gives a filter narrowly tuned around the target frequency of 1 rad/s. 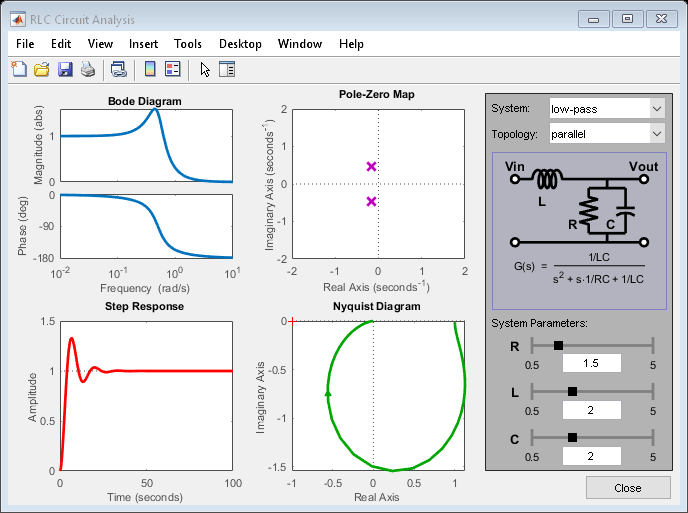 To analyze other standard circuit configurations such as low-pass and high-pass RLC networks, click on the link below to launch an interactive GUI. 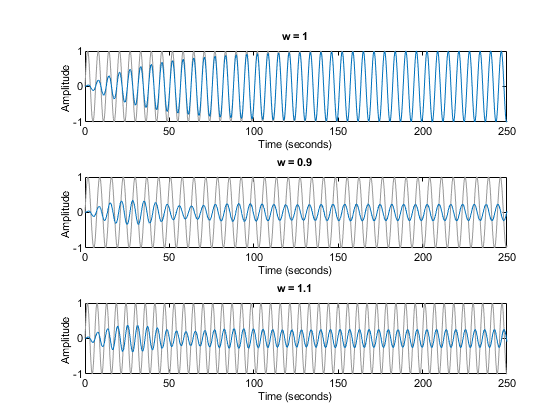 In this GUI, you can change the R,L,C parameters and see the effect on the time and frequency responses in real time.